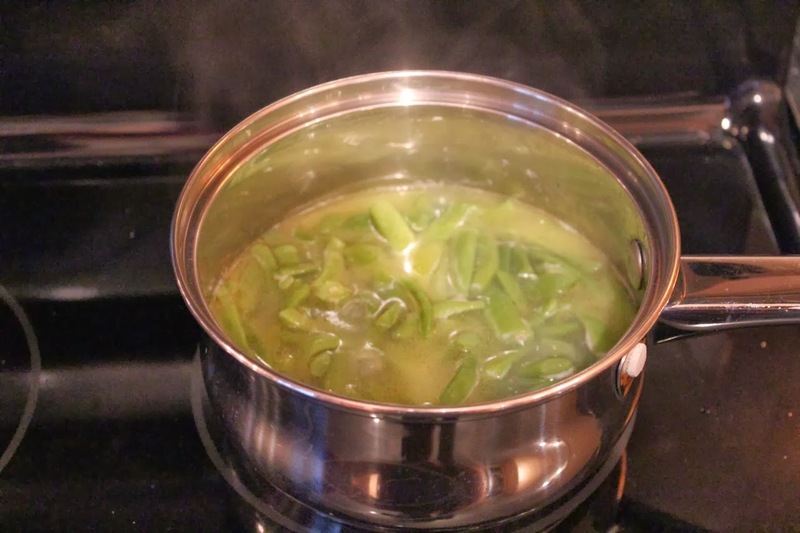 Women on a Mission: Mom Edition: Cooking fresh green beans (the way my kids like). I’ve been meaning to post about this for ages, and now that it’s barren outside, I’m finally getting around to it. Way to go Ethne. 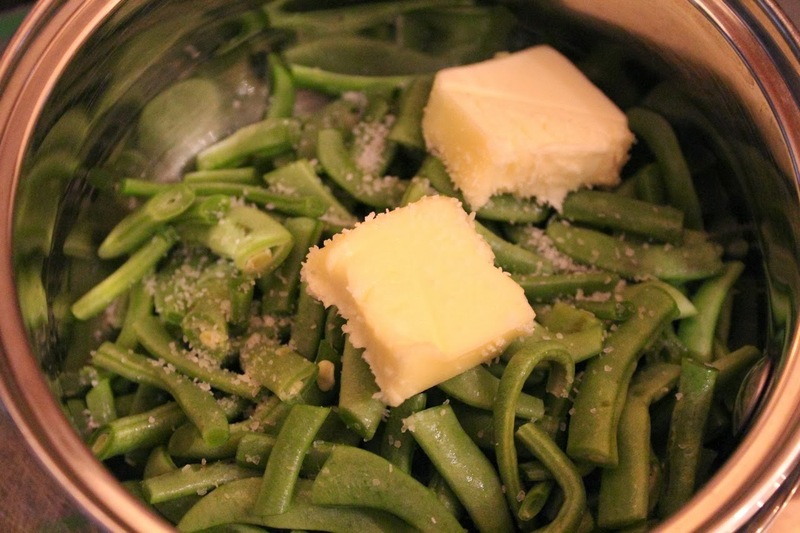 But, you can get fresh or fresh frozen green beans at the grocery store (and really great frozen ones at Costco), so this recipe can be done year round. Bear in mind that you don’t have to cook the beans as long as I do. Cook until they taste good to you. I personally like them a beautiful bright green and tender-crisp. However, my girls like canned green beans, so I let these cook longer until they were more the texture of that. They were still really good, but weren’t quite as bright green anymore. 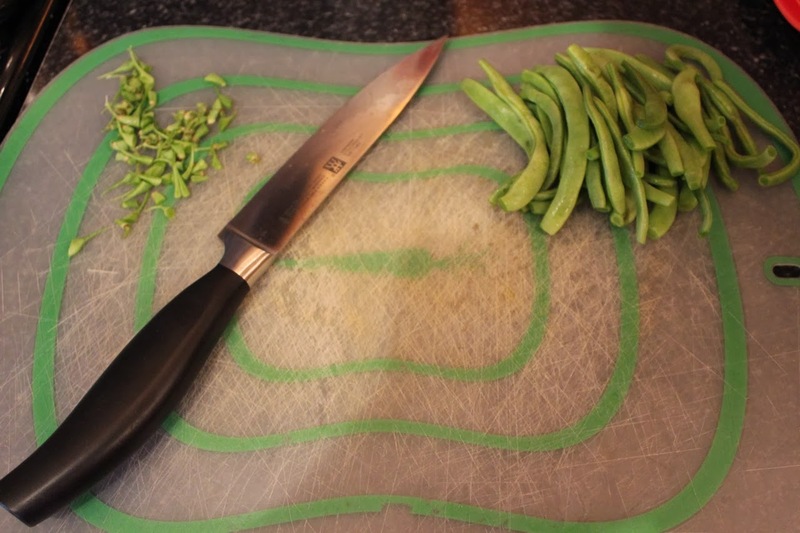 Cut up a big handful of fresh green beans. Thaw frozen if you’re using fresh-frozen (which his totally cool). Cut into 1-1/2 inch pieces. I found that as a side dish for the four of us (the girls are little, so they don’t eat that much) a big handful, once cut into pieces, was plenty for us. You may want to use two or three big handfuls if you have a bigger family. Also, the garden beans I used are bigger than the Costco frozen beans (for example) so that may affect how many you use. Put them into a pot – I used my medium pot. Add just enough water to cover them. If you’re aiming for more of a tender-crisp, use a little less water. Add about 1-2 teas. of salt and 1-2 teas. of butter. Water coming next - generous pats of butter. Yum. Put on medium-high heat just until this comes to a good bubble, then turn down to medium-low (a simmer) and cook until they are the tenderness you like. Stir occasionally. Add a little extra hot water if it seems like it’s running out, but I didn’t have that problem (it’ll have to come back to a boil unless you add boiling water, but better than burning). You can tell from the color that they're almost done since they look close to the color of canned green beans. 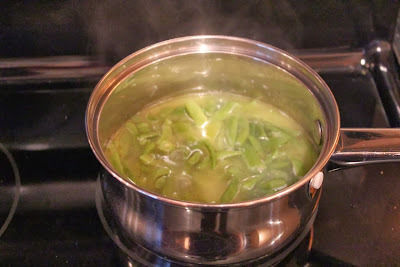 If you're aiming for tender-crisp, stop when they turn that bright green color (before this stage). Adjust the salt to taste and serve. Yum!